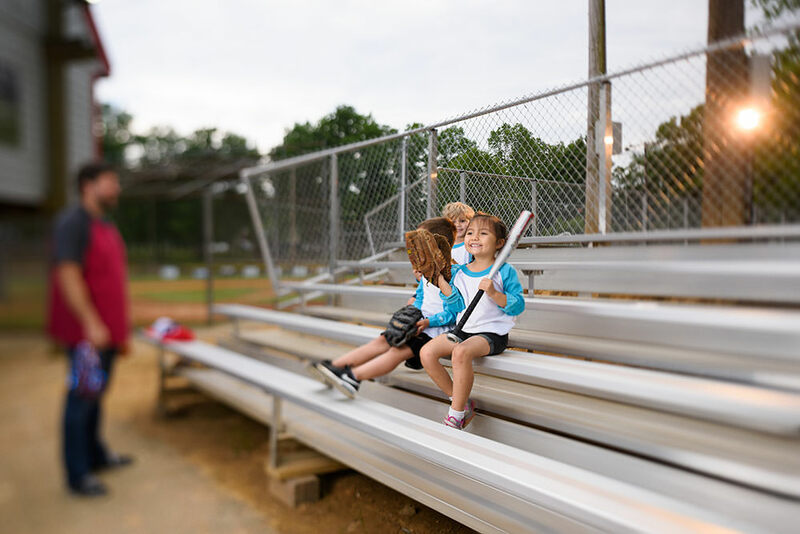 National Recreation Systems is America's Most Trusted Bleacher Company. To continue earning that trust, we encourage all of our clients to regularly maintain their bleachers to ensure the highest level of safety for their crowds. Periodic inspection and tightening of bolts should occur at least annually and is suggested on a regular basis depending on use. In addition, at least biennially, an inspection should be performed by a professional engineer or a registered architect. We've developed two maintenance and inspection checklists for our clients to easily download below. One is for our clients with elevated bleachers and the other is for our clients with non-elevated bleachers. Wear and tear on bleachers is unique to the type of bleachers you have and their environment. If you use portable bleachers, confirm that they are secured according to manufacturer specifications and local building codes when they're being used. When you are finished, be sure to store them properly to allow them to last. If you use permanent outdoor bleachers and live in a high-rainfall area, consider making the bleachers slip resistant. This will help protect your crowds from unintentional slips and falls. *If Your bleachers have a ramp, platform, or wheelchair seating areas, consider checking the following items.